Good morning Doctor”, “I have a headache”, “Can you give something to help me sleep”, “Take these and come back to see me in a few days” …. exchanges like these are common in the day-to-day between health professionals and patients. The words are often spoken in a distant and stressful setting, in which the computer far too often takes centre stage. In a modern world where technology has come to play a significant role, the patient may sometimes be relegated to the back seat. It seems a contradiction to say that in the age of communication, everybody seems to communicate less and even communicate worse, but unfortunately this is a reality and in by no means is this exclusive to the relationship between professional and patient. When we refer to communicating “less” here, we do not mean in terms of quantity but mostly in terms of the quality of communication. There are very few practices in the world of health that do not involve communication, as such a good bedside manner is an essential part of patient-professional communication, between health professionals or with the general public. For over 30 years, the Toronto Consensus Report has been highlighting the need for greater efforts to improve clinical communication. They often refer to the importance of emotion-based medicine, which states that the doctor-patient relationship should be based on the assumption that patients are sufficiently mature and aware of their health status. We come from an authoritarian society and a medical practice based on paternalistic models. The democratic values ​​of our society may never have been all that sound and we’re still learning. Society itself has often bestowed on doctors a privileged social position that tends not to facilitate a suitable flow of communication with patients. Obviously, there are other factors which do not help or make life easy for professionals, such as their heavy workload or the design of physicians’ facilities which clearly have not been fashioned with the patient in mind. The training of health professionals is probably a key tool in ensuring that our physicians, and nurses are people with a close connection to their patients, interested in and capable of listening, interpreting, understanding non-verbal communication, are compassionate and assertive. In addition to addressing technical and technological aspects of the sector, medical and nursing faculties must also make room for the ethical and humanistic aspect of the studies. There are plenty of initiatives becoming available to assist healthcare students in developing communication skills with the capacity to ensure that the relationship between professionals and patients is much more effective and affective. However, once we have established the importance of these skills in the future professional’s curriculum, their acquisition becomes compulsory and their assessment critical. Recently, a set of recommended modifications to student curricula were published, regarding both content and teaching strategies to be used in different countries and settings (Kiessling, Bachmann, García de Leonardo). It seems that consensus is not far off and therefore, all that remains is to implement these proposals in our universities and medical centres. When this takes place, it will most likely mean a win-win situation for all those involved. Surely if we can manage to train our professional staff to be compassionate, assertive, practice active listening and empower patients in decision making, then we will achieve better health outcomes and greater wellbeing for both patients and their families, not to mention for the health professionals themselves. 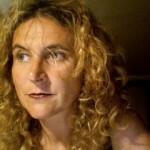 Post written by Carme Carrion (@CarmeCarrion), Professor of Healthcare Studies at the Universitat Oberta de Catalunya (UOC) and Associate Professor at the Universitat de Girona (UdG). One of the things that we humans do quite often is to assume a fact, a situation, or what someone else thinks. We assume that our circumstance is representative of the general circumstance, that a person, by the mere fact of having university studies, has the capacity of global understanding (including that of diseases, diagnostic procedures, or about treatments that this person has never heard anything about) or that all professionals, doctors or nursing staff, think in a standardized way. This often leads us to generalize. We do this daily. Who hasn’t said a sentence like this at one time or another: “all men are…”, “the residents are not like they used to be…”, “the Poles are…”? Assumptions, on the other hand, are not very far away from prejudices. They say that once Winston Churchill (1874-1965) was asked what he thought about the French. “I don’t know”, he replied, “I don’t know all of them”. It is not surprising then, that this trend to make assumptions also occurs at the moment of evaluating the needs or the values of people who are ill. In general, the functioning of health organizations revolves around professionals (adding criteria of efficiency, which are not always contrasted). In this context, we trust professional experience to identify and clarify the needs of the sick people too much. But, do we really know what truly interests a person when he/she is ill? Satisfaction surveys are a first step to get closer to the perspective of those who use a service. Satisfaction is a very comprehensive construction that comes from the user of a service and it is highly related to the user’s expectations. In addition, quite often what gives the most satisfaction is not necessarily related to the key elements of the service received or with the actual quality of the service received. The communication skills of the professional who offers a service may be related to a high degree of satisfaction, without having a direct relationship with the results obtained. Friendly incompetent people are dangerous precisely because the patina of their ways of being can conceal the consequences. If we only use the satisfaction surveys to assess the perspective of the person who uses the service, it is possible we have little capacity for discrimination. In practice, it is still odd that in the area of health in the satisfaction surveys the same problems are consistently identified, but no action is ever taken. The key element is to be sure of the relevance of the feedback of the people who come in contact with health services. One of the barriers in appreciating the value of the patients’ feedback is the professionals’ skepticism of just how knowledgeable the patients are about the organization as well as the technical aspects. Well now, what we must not confuse is that it is one thing to “not know what you want” and another, which is very different, “to know perfectly what you don’t like”. Sick people (and people who care for them) know perfectly well “what they do not like”. These people identify the touch points, or points of contact, which can generate unpleasant, problematic or critical situations (in this case they would be “pain points”, or “trigger points “) perfectly. The best way to identify these situations is to ask explicit questions and to not make assumptions. There is not one unique methodology to collect the perspective of those who suffer from diseases. You can use quantitative methods (surveys of all kinds: face-to-face, online, by telephone) or qualitative methods (interviews, focus groups and/or analysis of complaints and suggestions). Being interested in the feedback about the care offered is very good, but it is not enough. Angela Coulter affirms that it is unethical to collect data on the experience of the patient and then later ignore this information. That’s why, more and more every day, talking about the patient’s evaluation of the experience has a triple dimension: a key element in the evaluation of quality, a very powerful leverage and a strategy to improve the empowerment of the patient. Doyle et al expounds that the patient’s experience, the effectiveness and clinical safety are closely linked and suggests that we must consider the patient’s experience as one of the pillars of the quality of health care. The sick person’s perspective is very important for identifying opportunities for improvement in the provision of the service. And the step into action must be done involving everyone who plays a role in the care process. The concept of “co-design” in the framework of health care refers to cooperation between professionals and people assisted in the design of the transformations of the service, from the beginning of any improvement process and in all directions. The “co-design” represents a radical reconceptualization of the role of patients in the process of innovation in the provision of services. Lastly, the evaluation of the patient’s experience cannot be separated from the information or from the therapeutic education that, in the end, should contribute decisively to the activation of sick people caring for themselves, through a deliberative process. This activation to address the disease within a framework of shared decision making improves clinical outcomes and has an impact on the cost. The video about empathy from the Cleveland Clinic is an example that can be used to avoid “assumptions”: Empathy: The Human Connection to Patient Care. The solution is very simple. Instead of making assumptions one must observe and ask questions. 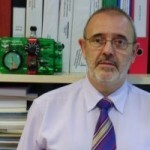 Post written by Joan Escarrabill, (@jescarrabill), director del Programa de Malalties Cròniques de l’Hospital Clínic de Barcelona. 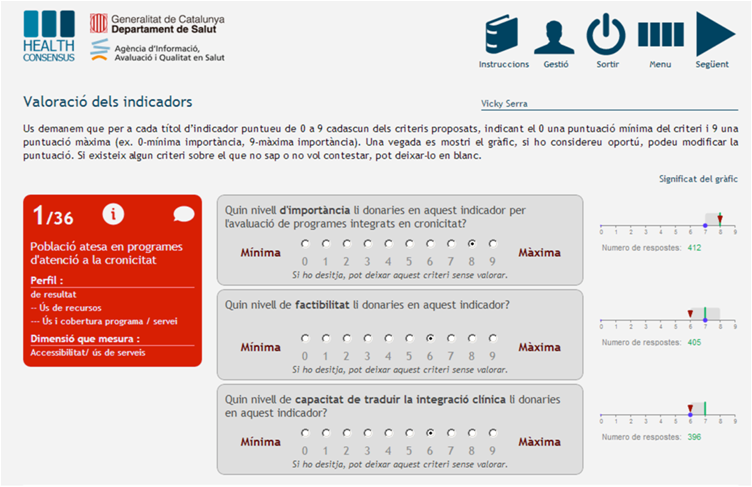 The Real Time Delphi method, which implements the functionality of the Internet to make the Delphi Method more flexible, efficient and transparent, has been used by the Agency for Health Quality and Assessment of Catalonia (AQuAS as per the Catalan synonym) to identify the indicators for evaluating chronicity care and for the management of the areas of improvement in this field. ¿What is the Delphi method? It is a structured communication technique which is based on a panel of experts who answers questionnaires in two or more rounds. After each round, a facilitator provides a summary of what the experts have said in the previous round. Successive rounds are intended to reach a consensus on the subject. The Delphi method is applied to make predictions about the future and, in general, for any issue when a scientific approach is not possible. When the Delphi method is online (Real Time Delphi) the responses of the participants are calculated automatically and many variants of the method can be entered in a controlled way. 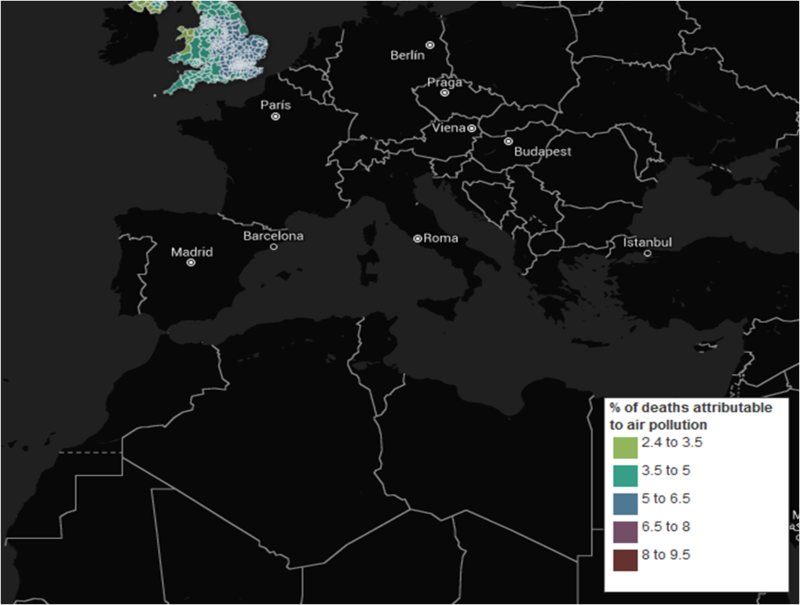 The Health Consensus application that facilitates the participation of professionals through a methodology of online consensus developed by the company Onsanity from research done at the Universitat Politècnica de Catalunya (UPC) in Barcelona was used to identify the most appropriate indicators. The work was carried out in the years 2013-2014, the first prototype of the system was applied twice, first in Catalonia, and a second version in the context of all the Spanish health system. The Health Consensus application for the selection of indicators allowed for the collecting of contributions from more than 800 health professionals, including clinical profiles of management and planning. An initial list of 215 indicators was progressively reduced through successive rounds of consensus until it was reduced to 18. It is possible to pool the tacit knowledge of a fairly large group of professionals, putting together experiences and different points of view. The professionals underscore their perception that the contributions that are made, are highly valuable in the construction of the model subjected to consensus. The online system is accepted by the professionals who expressed a high satisfaction level during the participation process. 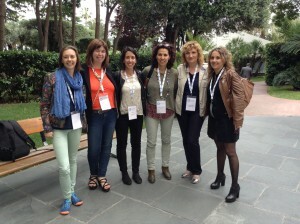 The experience was published: Monguet JM, Trejo A, Martí T, Espallargues M, Serra-Sutton V, Escarrabill J. 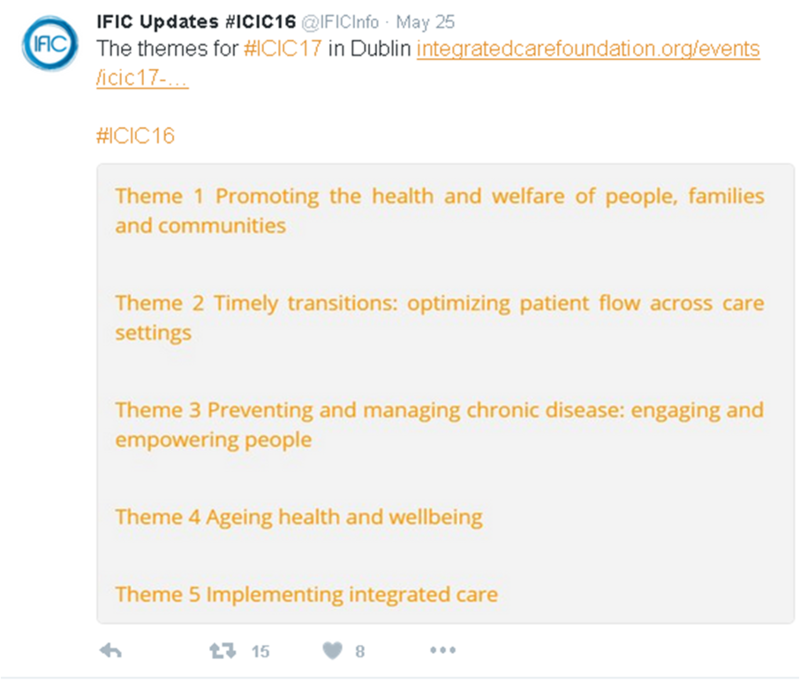 Assessment of chronic health care through and Internet consensus tool. IGI Global; 2015. 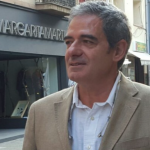 Post written by Josep Mª Monguet (@JM_Monguet), UPC Professor.